Growing up, I was bad at science and math. Needed a tutor to squeak through high school chemistry. Enrolled in biology and "baby" physics in college to complete my science requirements. Even though my dad was a CPA, and could do complex math in his head, the math gene skipped me. I was equally unadept as an artist - my very gifted mother's avocation. Though she enrolled me in art classes and summer camp programs, and bought me a sketchpad while I tagged along when she would set up an easel to paint landscapes en plein air, I could never quite make a brush replicate what was in my mind's eye. I blame it on being left-handed. Still, I loved learning about what made numbers meaningful. What it felt like for an artist to create. And I found things I did love: language and writing; drama and dance; history and psychology. And learning for its own sake. So I studied French and drama in college; communications and developmental psychology in grad school. And I wrote. I was lucky to find jobs in broadcast, cable and eventually, public relations. But I remained a generalist. It would take me another 25 years before I stumbled upon my own unique gift — "interpreting" scientific and health research — particularly in neuroscience — to bridge the gap between science and popular understanding. 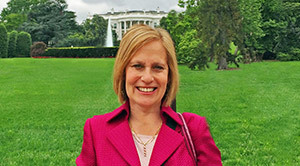 As a social marketing consultant and founder of WordsWork Communications, I work with scientists, researchers and educators to apply communications techniques to increase understanding of health innovations and discoveries, to increase public awareness and to help promote healthy behaviors. To get the message across, I also explore multiple forms of creative expression - from live engagement to music, from traditional to cutting-edge social media. I'm also a mom to three children. It was seeing them grow up and discover their own gifts that inspired me to try my hand at fiction writing. As a carpool mom, I would listen in on their conversations and realize they and their friends were all uniquely gifted in many ways — Renaissance geniuses in the making — if we could only recognize and nurture their talents. This led me to a thought exercise: if a Leonardo da Vinci (the ultimate Renaissance genius; also a leftie) were born today, would we even recognize him? Could he become the Leonardo he was meant to be? The exercise turned into writing inspiration and resulted in a screenplay and novel, Edge of Yesterday, about a STEM-smart girl who, for the middle school science fair, decides to create what she thinks are Leonardo’s plans for a time machine. Her goal: to meet the Renaissance genius in person in his own time to find out the secrets of his success. And get back in time to win the science fair. So life means evolving who you are and what you are able to bring forth. 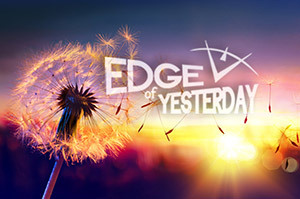 Edge of Yesterday has evolved into an interactive digital-plus-experiential learning platform where everyone is a potential Renaissance genius, and where curious teens can dream and experiment, dive in to learning, and bring their own stories to life. Edge of Yesterday aims to transform learning through story, online engagement and hands-on experiences. Our mission: to inspire young people to pursue their dreams.